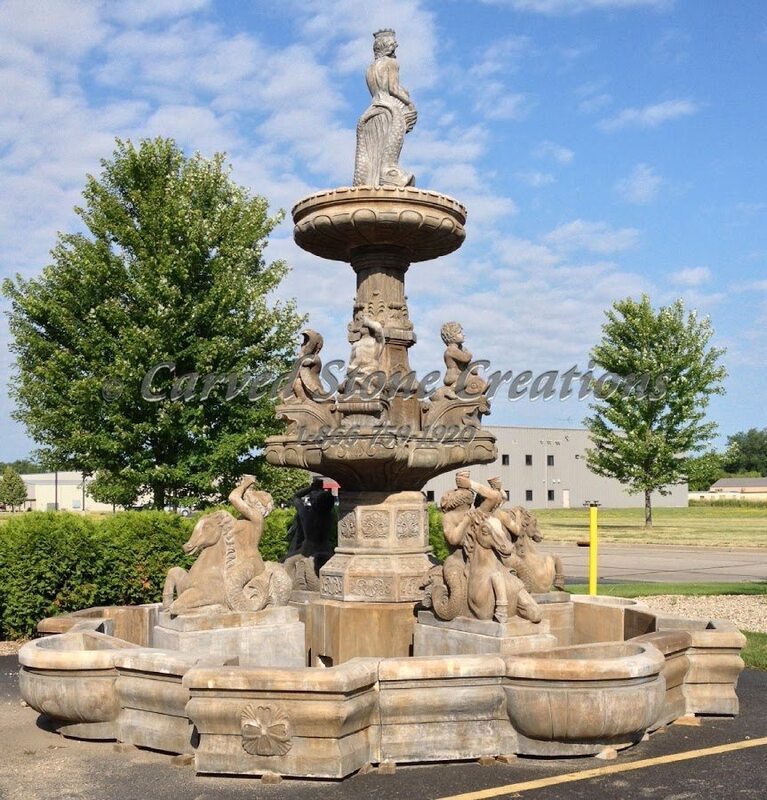 This classical fountain design features a tiered pedestal with statues of Greek gods, including Neptune and Poseidon. Four mermen statues also pose at the base of the fountain. The handcarved surround features some interesting details, too. The basin has built-in planters to showcase bright flowers and small shrubs. This breathtaking fountain design was inspired by the Bethesda Terrace angel fountain in Central Park. It is handcarved from charcoal grey granite and features a unique octagonal base surrounding the columns. The pedestal supporting the angel also includes intricate carvings of cherubs. 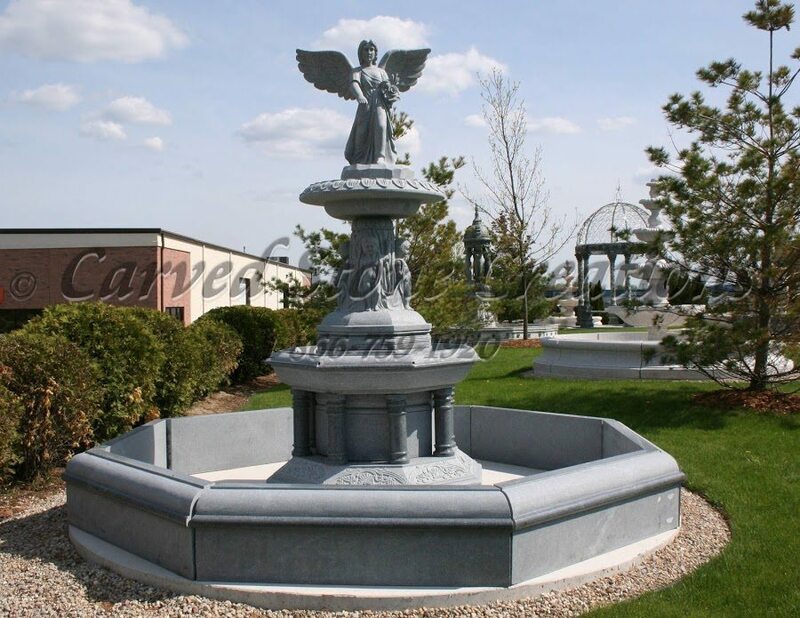 This beautiful granite fountain is handcarved from Giallo Fantasia granite. It features four delicately carved women holding musical instruments and flowers beneath a classic shell-shaped bowl. Another handcarved statue stands atop the bowl. Water cascades over the edges of the shell into the basin. Four carved lion heads around the pedestal and four shells around the basin also spill water, creating a spectacular display. The design opportunities are endless! 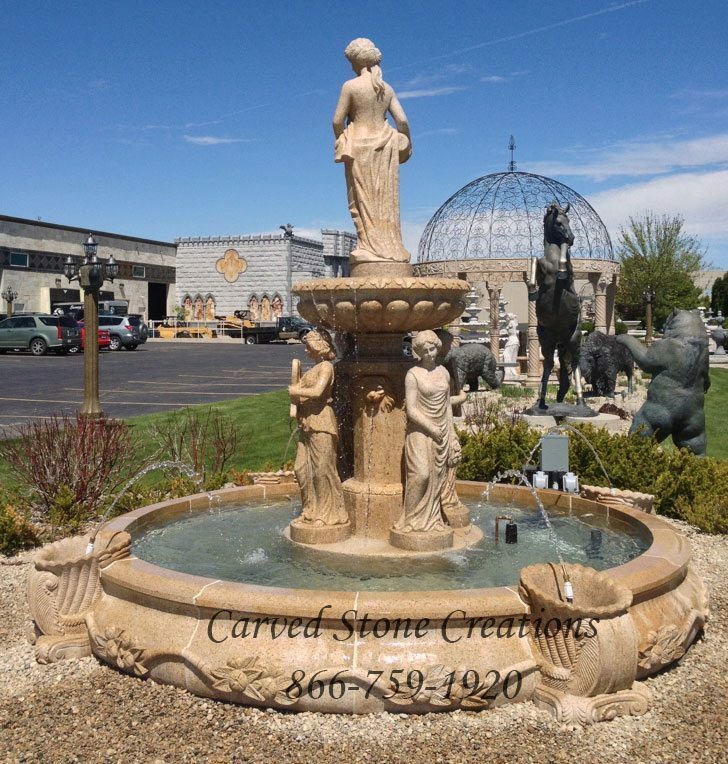 If you have a vision for an estate fountain for your home, talk to us about it. Our design experts and artisans will work with you to make your vision a reality.